EHS on Tap: E36 What is Return on Safety? We all know that protecting employees from safety and environmental hazards is just the right thing to do, but business needs cannot be ignored. Going beyond compliance, how can an EHS manager demonstrate to business stakeholders the return on investment of their efforts—or, to put it another way, what is the return on safety in the organization? We’re talking with an expert, Mark Woodward from Missouri Employers Mutual, who can help us better understand return on safety, from proper safety investment to experience modification rates. 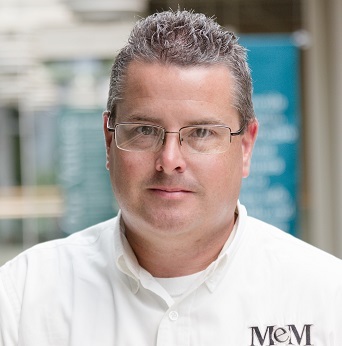 Mark Woodward is a Senior Safety and Risk Trainer at Missouri Employers Mutual, a safety company and Missouri’s number one workers compensation insurance provider. Throughout his career, Mark has instructed tens of thousands of workers to improve workplace safety and prevent injuries on the job. He’s a certified safety consultant through the State of Missouri and a National Safety Council CPR, First Aid, and AED trainer, Defensive Driving instructor, and OSHA Outreach Trainer in Construction. He is also President of the Missouri Chapter of the Common Ground Alliance. Having spent 24 years as a volunteer firefighter and EMT, Mark knows the importance of safety firsthand. He is a frequent guest on the WorkSAFE Podcast, where he’s provided insight about safe driving, safety leadership, and more.